It’s that time of year again where the thought of Christmas Shopping has slowly begun to creep its way into your head and you’ve started racking your brain for ideas…Number one on your list? Your mother, of course. Now, for a lot of people Christmas shopping for their mother is as straightforward as buying her favourite perfume or treating her to a spa day… But what if your mother doesn’t like makeup or bath sets? What if your mother prefers practical gadgets to pampered packs? Fear not, we’ve made a list of 5 fantastic gifts that we know your tech-savvy mother will love! Smart and stylish, this genuine leather case from Decoded will protect your mother’s iPhone 6 from scrapes and scratches. Not only that, but it also comes in 3 great colours-black, brown, and red! Exclusively designed by Irish fashion designer Orla Kiely, this kindle fire multi scribble stem case is the perfect gift for book loving mums! For the most sentimental of mothers, Doxie is the perfect gift! 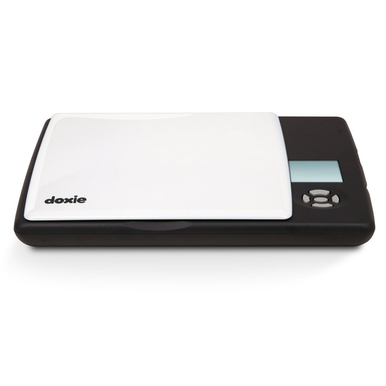 Doxie is a lightweight portable scanning device that allows you to scan photos, postcards, coins, ticket stubs, letters and even stamps so that you can create digital files to keep and share. No computer is required so you can scan anywhere, anytime! This gorgeous pink, ultra thin case from Marblue will keep your mother’s iPad Air well protected without adding unnecessary bulk. It also offers full access to all ports and buttons for optimal use. Another great gift for career driven mums, the Equil smartpen uses bluetooth technology to transcribe your handwritten notes directly and seamlessly onto your iPhone or computer so you don’t have to! It also comes with two complimentary apps-Equil Note for writing tasks and Equil Sketch for creative tasks. *All featured products are available from our website or directly by clicking the relevant images above. Go on, spoil your mother this Christmas!